The story takes place on the awkwardly named planet of Neob, an idyllic world that owes an awful lot to James Cameron’s film Avatar, with its luscious flora and enormous fauna. 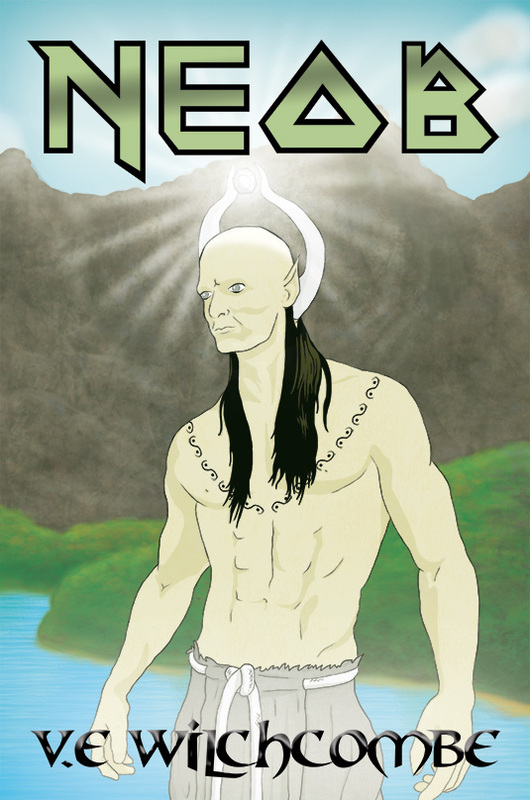 Neob is watched over by the god-like figure of Menor, who has no memory of his origins, but with his tremendous power, maintains balance between the various species on the planet. This balance is upset by the arrival of Thylin, a member of another alien species whose introduction hints at a much wider galactic civilization. Wilchcombe grounds this rapidly expanding lore by introducing Odell, a human who is one of a group of captives that Thylin has brought with him for some undisclosed purpose. However, much of this grounding is lost when Odell suffers a mortal wound, only for her to be healed by Menor, thereby granting Odell superhuman abilities and seeming immortality. Thylin is subdued by Menor, though at great cost to himself, and Odell is left to watch over the planet and its new human inhabitants while Menor recovers from his wounds. The rest of the novel is largely presented from Odell’s perspective, who protects and guides the descendants of the captives that Thylin brought with him, until Thylin’s mysterious revival leads to all-out war across the planet. The plot follows the tried-and-tested fantasy archetype of an unremarkable individual being granted incredible power and responsibility, and like many such stories, everything culminates in a grand battle between good and evil. The portrayal of the good and evil characters is rather two-dimensional: every character on the side of good is a paragon of virtue, while Thylin, as the main antagonist, is irredeemably evil, although the novel is very unclear as to what his motive is. Perhaps this information is meant to be revealed in a later entry in this series of works, but this reviewer found it difficult to care very much about the struggle between Odell and Thylin due to the lack of subtlety in their characters. Again, this is perhaps a symptom of the brevity of the novel—if the novel had been longer, the characters could have been fleshed out more, helping the reader to become invested in their plights. Approximately halfway through the novel, the relentless pace briefly lets up during a simple meal scene, during which I hoped some much-needed character development would be introduced. Unfortunately, however, this scene was rapidly glossed over with a simple “After dinner…”, before immediately plunging the reader into the next perilous situation. Much could have been improved by fleshing out such scenes, giving the characters room to discuss more than simply how they are going to survive the latest impending disaster. The novel also suffers from an extreme case of serial escalation. This is a phenomenon that is more commonly seen in such anime series as Naruto or Dragon Ball Z, in which titanic battles constantly escalate in scope, with characters frequently revealing or discovering new, untold powers to destroy their opponents, only to have the tables turned on them, over and over again. There are a number of such battles in Neob, and this quickly becomes tiresome. All peril is removed when the reader knows that a new, overwhelming ability is likely to rescue the protagonist at the last moment, and the author has provided no consistent set of rules to allow the reader to anticipate such events, or even understand them. This renders what is meant to be awe-inspiring as simply mundane, defeating the point of such spectacle. However, there were some interesting ideas that the book employed. The novel begins with an interesting inversion of the Christian creation myth—rather than the God-like Menor character creating humanity, as Christian doctrine claims, he instead stumbles upon them almost by accident, before then rapidly hands over stewardship of the planet to a human representative in Odell and becoming a non-intervening observer. More could have been done with such parallels, re-telling an old and much-explored narrative from a different perspective. The author has also attempted to create a rich ecosystem for her world, describing numerous species and outlining the geography of her imagined planet. The language used is perhaps a little underwhelming in these instances—rather than conveying a sense of scale of the planet, the reader is instead given lists of facts; for example, “The planet Neob has one massive continent surrounded by crystal clear waters. Its greatest mountain chain runs for over three thousand miles from the north to the west and has a wide vale directly in its center” (p.1). Despite these occasionally lacklustre descriptions, the author should be commended for the scope of her vision for the planet. 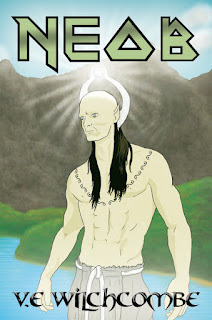 While I cannot recommend Neob as a truly great read, the author’s ambition is impressive. I am sure Wilchcombe will return to this world in the future, and I wish her all the best in honing her craft in order to make the next installment in this promising series more considered, fleshed-out and thorough. Thank you very much Mr. Marr. All your feedback is appreciated!